Well, it certainly has been an interesting couple of weeks in the mobility industry. 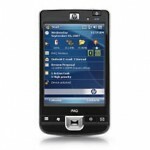 Lawsuits galore, HP punting on the Tab (and most likely the whole Palm acquisition), Google buying Motorola Mobility (Googorola? ), rumors of iPhone5 getting louder, and other rumors that Microsoft is finally going to compete in the space. And silently, well not so silently one by one the companies that started it all are being gobbled up. New, 21st century brands, some that can’t look at hardware if it was staring them in the eyes are taking center stage. When there are winners, there have to be losers, even in a rapidly expanding market such as this. Nokia, the once titan of the category, that robbed market share from the inventors of cellular telephony (Motorola), although still #1 are now falling like a rock. Palm, who arguably added the “smart” aspect of smart phones by creating the PIM (personal information manager) elements now ubiquitous, recently bought by HP are now defunct and their legacy, sadly, may follow. Research in Motion, RIM, makers of the ubiquitous executive gadget of Christmas Past are down to a meager 3% and declining. While Google and Apple, who dominate the mobile Operating System market share see no end in sight. Google’s acquisition of Motorola Mobility (MMI) brings to the table the largest patent dowry available: 17000 granted patents plus more than 7000 in process, including some unimaginable radio and communication intellectual property. This not only gives Google the ability to counter the myriad of lawsuits that make analysts weary of the future of Android, but can actually put them in the driver seat if they weren’t there already. Unfortunately there are always downsides to every upside. In this case its in the form of a Taiwanese and 2 Korean companies. Yes, you guessed it: HTC, Samsung, and LG. These 3 plus Motorola Mobility are the main adopters of Android and responsible for Google’s rise to the top OS in this category. Together they represent roughly 25% of the market or about the size of Apple’s iOS. The question is, my loyal reader (singular), will they pick up their marbles and go home (with a layover in Redmond, Wa)? or will they trust Google to keep MMI running independently? Yeah right! Just like other things in life, some win, and some lose. The ones that win by just waiting it out, Microsoft have a real chance to become the third horse in the race. Mainly because they will be the only remaining independent. But with $53B burning their balance sheet, how long can they afford to stay that way? Well apparently there is some hope for the nearly dead. One more time I’m wrong and someone did find enough value for Palm, unlike I had predicted before. Although in this blogger’s humble opinion $1.2B seems a little excessive. Sure, HPQ has the cash to spare, but a Webkit browser on top of Linux does not take that much money. 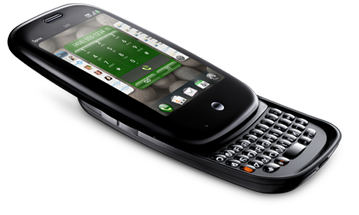 Granted Palm has a good device or two, but in this environment it takes more than a good device to unseat the emperor. I guess they’d figure they’d offer a sign-on bonus to Palm employees ($5.70 / share is a bit too distant to the $17+ back in October 2009) since they would really struggle to assemble a team like that on their own. Sure there’s some intellectual property and some innovation left in the inventor of the category. And it is the fastest growing and one of the most profitable markets in the industry but the world does not need that many mobile Operating Systems (OS) to choose from. I’m sorry. As I’ve pointed out before, to unseat the iPhone it will take more, a lot more than multitasking, a cool form factor, and a clever UI. I’m sure HP will make products people want to buy, but the question in my mind is will HP be able to create the ecosystem that will finally challenge Apple? I quite frankly doubt it. Not because it is impossible, or because HP doesn’t have the skills, it is because it is not in their DNA and Palm does not bring that to the table. Other bloggers (the real ones) are talking about tablets and netbooks using WebOS. Now that is even crazier. If a stretched out iPhone makes little sense, a bloated Pre (will they call it HP-Pro or the Maxi?) doesn’t make much sense either. A clever-phone OS will make a tablet look like a dumb keyboardless PC (no offense Steve). Besides, with no app store, no cult to follow you, no content delivery, no store chain, no Steve (sorry Mark) things don’t look too promising. Besides, HP is a much more powerful brand than Palm, so it’s not that they’re bringing that to the table. So, my dear follower (singular). Let’s just regret having covered our short a day too late and wait for their next move. An app delivery company? video distribution? or perhaps music delivery? We’ll see. But one thing is certain: there will be more of these moves (some may be really big). Microsoft, Dell, HTC, RIM, and others will be on the M&A news soon.